Some law firms can easily and easily display the rebooking of online gambling bets. Sometimes there are even pattern letters to download. Meanwhile, there are some lawyers who are against such practice and even talk about computer fraud by the players when they carry out planned chargebacks. For some lawyers, recent court rulings on Online gambling are now no longer comprehensible. Dr. Bernd Berberich, of the law firm Salary Partner, has argued in several publications against the judgment of the district court (AG) München from 21.02.2018 payment processing for Online gambling. The organisation and intermediation of without this permission (unauthorised game of chance), as well as to contribute to payments in connection with illegal gambling are prohibited. This is a dangerous assumption for players, because such behaviour is likely to constitute a criminal (attempted) computer fraud. However, legal Chaos is not only based on incoherent legislation and conflicting administrative practices, but also on the fact that judgments relating to online gambling and sweepstakes appear to be increasingly based on incomplete and inaccurate technical facts due to their complexity, as well as on incorrect addiction prevalence. However, misstatement of the facts necessarily leads to incorrect decisions. What considerations could show that the judgments were made prematurely? He merely sees in the judgment of the Munich district court that the judges have not correctly recorded the factual Holdings. The Munich District Court had already failed at the beginning of January 2015, by forcing a Blackjack player to return the winnings. It was the only case in which a player was charged. The District Court of Munich I had on 28.7.2016 recognized the legal error and revised the judgment in favor of the player. I had described the case in more detail in the past. At that time, it was not possible to identify the technical relationships involved in online gambling. What is legally important when depositing at Online Casinos? It is important to register at an Online Casino first and deposit money on the casino account. The deposit at the internet casino is not the same as the bet on gambling. Here there is a factual difference to payments at an Online Shop, where you transfer the money for a concrete true. The Online Casino first pays money and can then use it on gambling. This is a similar process as in a “big game” Casino, where you also have to exchange tokens first to use them. The game decision will be made only after the money is on the casino account. Then a player decides whether to play, what kind of gambling he uses, which software provider he gives preference and from which place he plays. The last two species need no official permission. In addition, it cannot be said when a customer uses the funds to play. In theory, it would be possible for him to deposit money and then leave it on the casino account until there is also regulation of Online gambling in Germany. Who is involved in the payment at all? 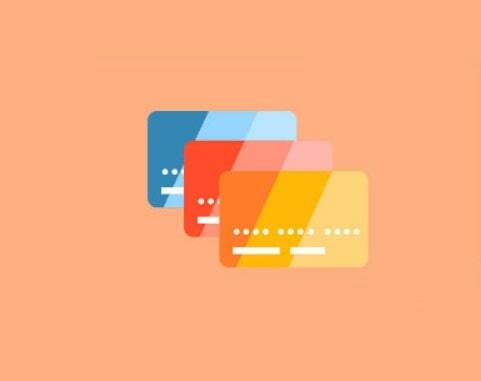 In general, 5 parties are involved in payment by credit card. The player is the card holder for Online payments with credit cards. He has a contract with the card issuer (the so-called Issuer), i.e. a Bank. Payment is made through a payment service provider who accepts the payment and forwards it to the Acquirer. The Acquirer or the Acquiring Bank calculates the card turnover with the actual contractual partner (in this case the Online Casino ab). Each party to payment transactions has a different level of knowledge in payment. However, the fact is that only one in five players has all the information to determine the illegality of gambling. This is at the end of the player, and none of the other parties Involved in the payment process. Even the Online Casino cannot make any statements about the legality of gambling at the time of payment. The player could eventually only upload money to the account to use it sometime later in the distant future. What are the false assessments of the court’s judgments? The court rulings do not distinguish between card issuer and the Acquiring company. This is important in that the publisher has no contractual relationship with the gambling provider. In addition, the courts assume that the players with their credit card make game sets, which is de facto wrong. Players only pay into an account at the Online Casino. There are no stakes. The Deposit and the actual Play are strictly separated from each other. Finally, it must be mentioned that a Bank only grants the player a credit in the amount of the requested deposits. The player himself directed the payments to the Acquirer of the Online gambling provider. As a result, a Bank does not charge the player transaction costs for betting services, but only for the granting of a credit. This statement describes that players, who have planned the re-booking, without penalty. Dr. Bernd Berberich warns his colleagues about this, because it is a dangerous assumption. Normally, such conduct constitutes criminal computer fraud. This can lead to negative consequences for the player and the lawyer who advises. The more complex the situation, the easier the answer! In the article, Dr. Bernd Berberich, together with his colleagues Claus Hambach and Dr. Stefanie Fuchs, finally advises us to understand the complexity of payments at Online Casinos. At the moment, the courts are still under the impression of analogue thinking, but this is not the way to speak reliably in the future. Digitisation is progressing rapidly in some areas, so that one has to understand the technical innovations. In addition, players must not get the impression that they are allowed to rip up all the funds in Online Casinos and can then simply reclaim it from the banks. That would only increase the problems of gambling. Finally, they conclude that there is a need for a reasonable regulatory framework in Germany through policy. Ultimately, they also believe that the state gambling monopoly has failed, but ultimately I have already summarised the arguments in another article. In the end, all gambling experts come to the same conclusion. Online gambling has arrived in Germany and must at last be properly regulated. Casino Resort MGM National Harbor – Error or Greed?